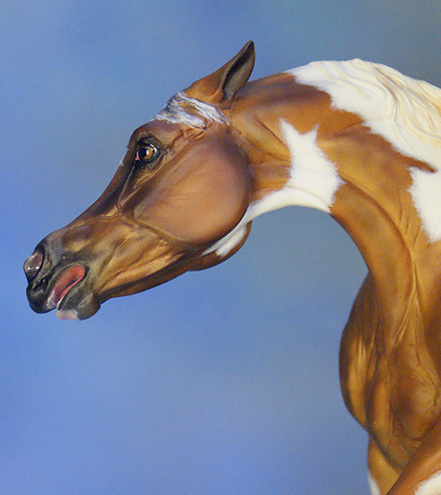 This site is dedicated to the horse sculptures I create in effort to reflect my love of the real horses God has created. I grew up riding and showing a purebred arabian gelding named MM Echo Bey affectionately known as "Hudson". He is a grandson of the great Khemosabi++++. 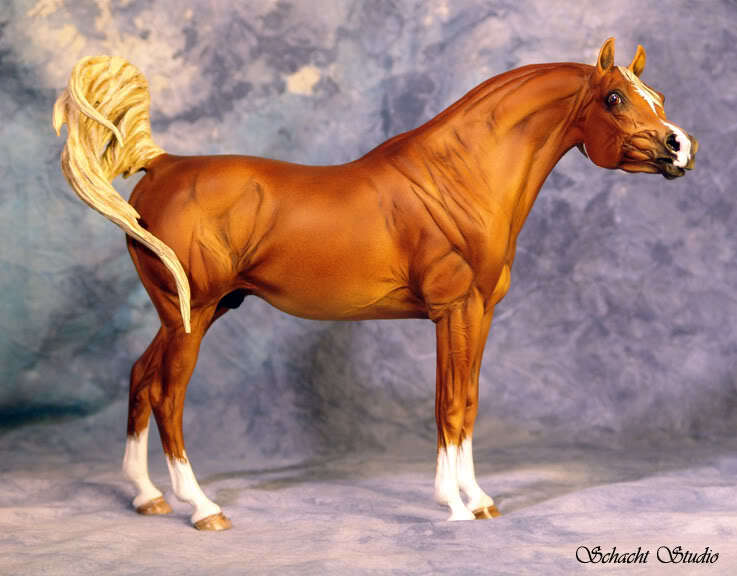 Most of the sculptures I create are arabians because I am especially inspired by that breed. Here you will find limited edition original sculptures available in multiple mediums including Bronze, Fine Bone China, and Resin. When a sculpture is available in multiple mediums, the master sculpture for each medium is uniquely altered to separate it from the other designs. Please take a moment to browse the galleries of previous commissions and limited edition sculptures. I focus on creating extremely realistic sculptures with correct conformation while still portraying the emotion and personality of an individual animal at a moment in time. Please send your commission inquiries to tabatha@twinoakarabians.com . 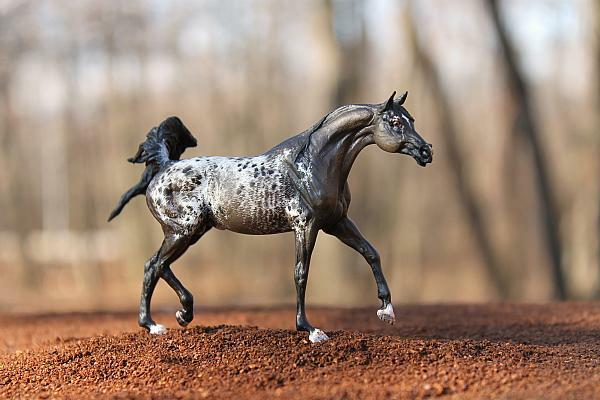 Sculpture: Elnathan V2 "Gift of God"
Arabian stallion in traditional scale produced as a second version of the original Elnathan sculpture. 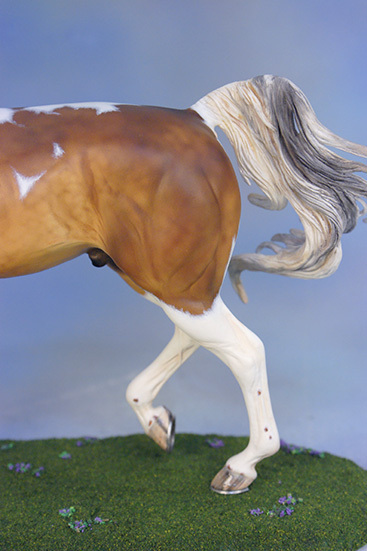 This version has altered mane, tail, shoulder and chest muscling, pinned back ears, and overall wrinkling/detailing. This sculpt screams attitude! 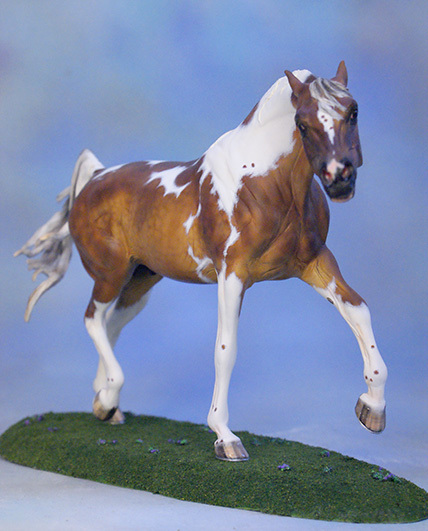 Myla Peirce has softly air-brushed and hand detailed him to a stunning Pintabian with tobiano markings. Finished painted sculpture was sold directly through Myla on her yahoo email group.